8th February 2017 - We went to Silversky's office to 拜年 and ended up getting overZEALous with these treats! 'Twas the twelfth day of Chinese New Year and thirteenth day post mummy's surgery. Mummy decided that we should go 'bai nian' （拜年）to Mr E and his wonderful staff at Silversky Pets. As some of you may know already, Silversky Pets is our kind sponsor of our staple diet called Wellness Core dog food. We are forever grateful for this sponsorship so mummy decided Frodo and I should go pay Mr E a visit for Chinese New Year.... and well, the long overdue collection of Frodo's bed. Hoorah! Frodo finally has his own bed. Mummy says orange colour suits him. What do you think? It was our first official outing since mummy's surgery and truth be told, mummy was more excited than she had let out. I think through those 13 days of immobility had mummy beat us hands down in giving emo and tragic faces from boredom. So yeah, the happy trio - Frodo, mummy and I - were delighted to get out of the house and go 'kai kai' at Silversky's office. Ladies and Gentlemen at Silversky Pets... welcome us to your office! 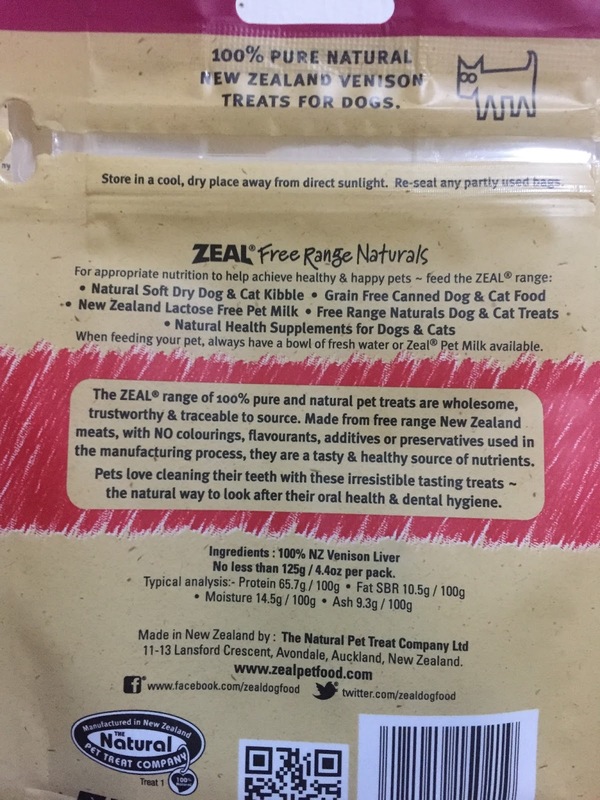 The Natural Pet Treat Company (NPTC) started operations in January 1999 as a small business manufacturing 100% Natural New Zealand Made treats for dogs. There were bags and bags of Zeal treats on Miss Clara's table. Mr E proudly told mummy that they now carry Zeal products and truth be told, mummy has not heard of Zeal. 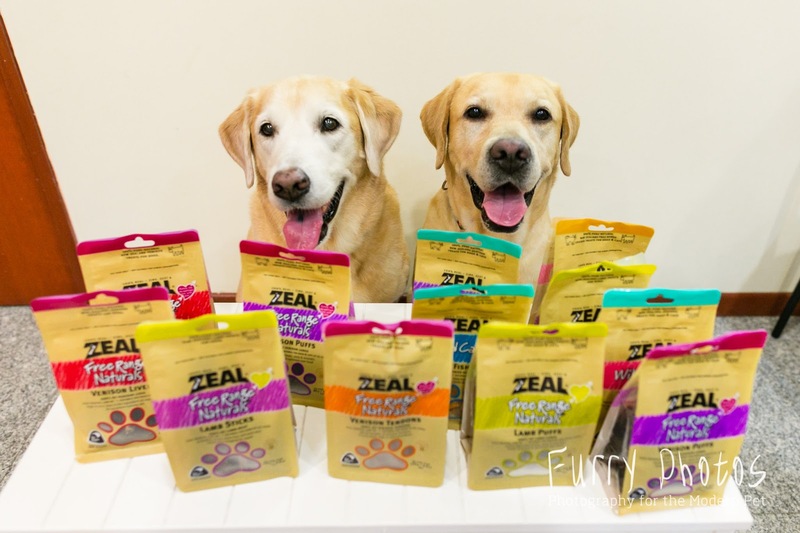 Mummy rarely buys treats for us and most of the time, they are given to us either as birthday presents or from our favourite ladies at Barkery. Of course Frodo and I did not care much about the brand of treats. Just feed us. "Is there anything that Flapper and Frodo can't eat?" Yes. Mummy has nurtured us to be greedy and food-motivated boys. A LOT of people may attribute it to us being Labradors but believe you me, don't even think about being not food-motivated with mummy. But that does not mean mummy is not cautious about the content of the treats. So first thing first, she strained to examine the package with her old-lady eyes. Of course she had to select Venison Liver! 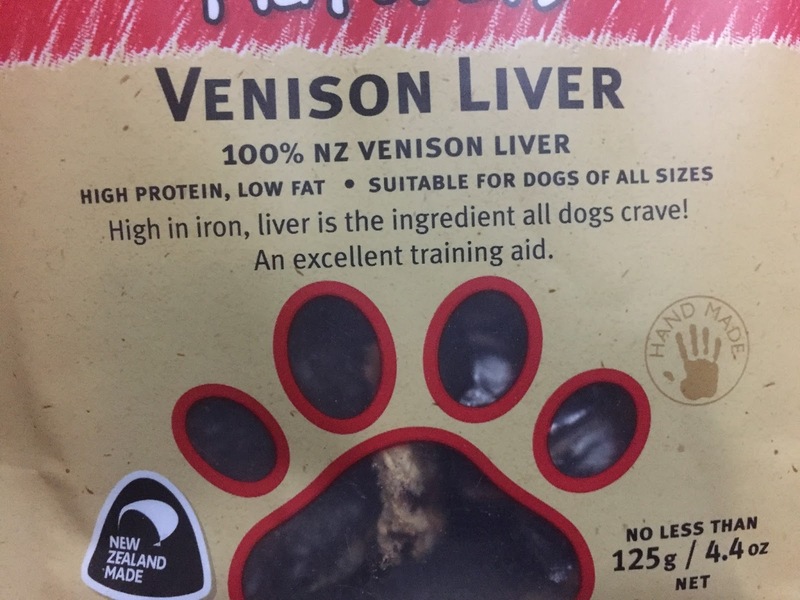 !00% New Zealous Venison LIVER! Woohoo! Now you're talking my language! Bring in on mama! Put it into my mouth now! NOOOWWWWWWWWWWWWWW! I LOVE how the ingredient list only has ONE ingredient - as 100% as it gets I guess! As wholesome as it gets. Carnivores... we are! 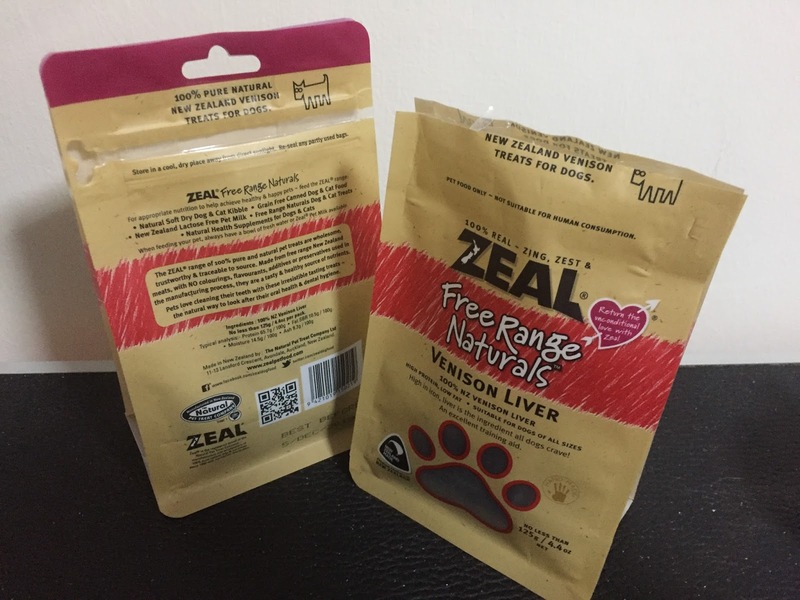 If you are like mummy and appreciate considerate and quality packaging, you will LOVE Zeal Treats' packaging ALTHOUGH mummy was really quite blush-worthy about it. You see... mummy was so excited to open the treats to let us have it, she quickly asked for a pair of scissors to cut the bag open. After butchering two bags of treats, out strolled Mr E from his office and he was like, "WHY DID YOU CUT THE BAG? YOU CAN ACTUALLY OPEN THE BAG WITHOUT CUTTING IT!" He promptly demonstrated the nifty (and cute) self-opening system on the bag and Mummy looked at him with much embarrassment. See this cute bone-shaped die-cut thing? That's how you open the bag of treat, mum! No scissors needed. Tear it and get 'em in my mouth! Left: The opened bag of treat using the self-opening system. That allows the bag to be re-sealed with the ziplock after opening. Right: The butchered bag of treat that mummy sliced the top off which opens the bag completely and cannot be re-sealed with the ziplock. 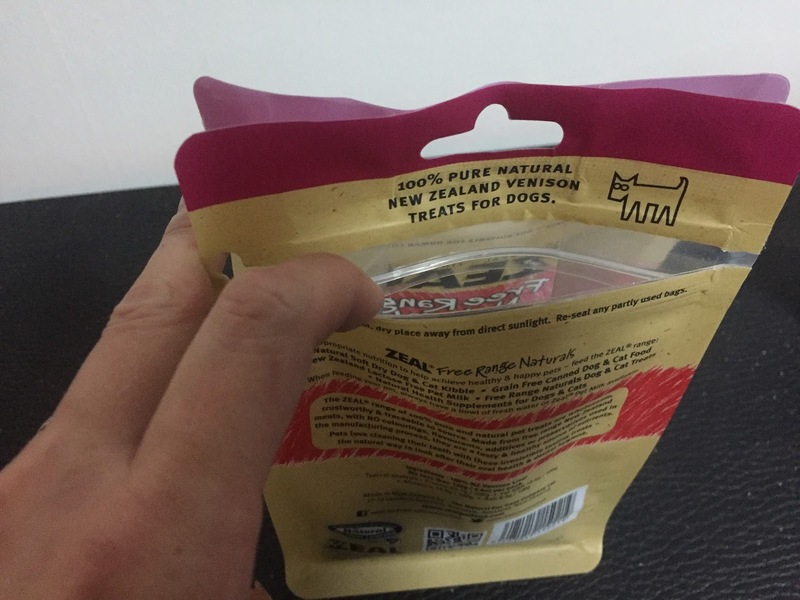 When opened correctly, one can re-seal with the in-built ziplock to maintain freshness of the treat. Because of how/where the in-built ziplock is on the bag, slicing the bag open spoils the packaging = cannot be re-sealed with the ziplock. So we love this opening system. Pretty nifty eh? This self-opening system with the in-built ziplock makes it very convenient and accessible when used outdoors. 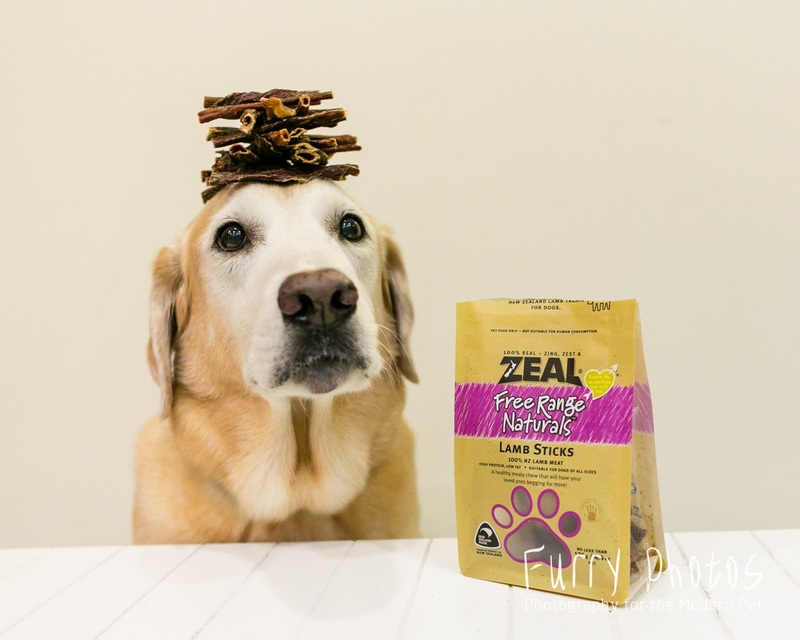 Short of ‘organic’, Zeal Pet Treats have absolutely no ‘nasties’ – no vaccines, preservatives, hormones, steroids, antibiotics, colouring, flavouring, and are also non-HTP. We have a range of real dried Veal, Sheep and Venison meat and bone treats to choose from. First and foremost, I must say that there are similar treats out there so I cannot really define what is so uniquely special about it. 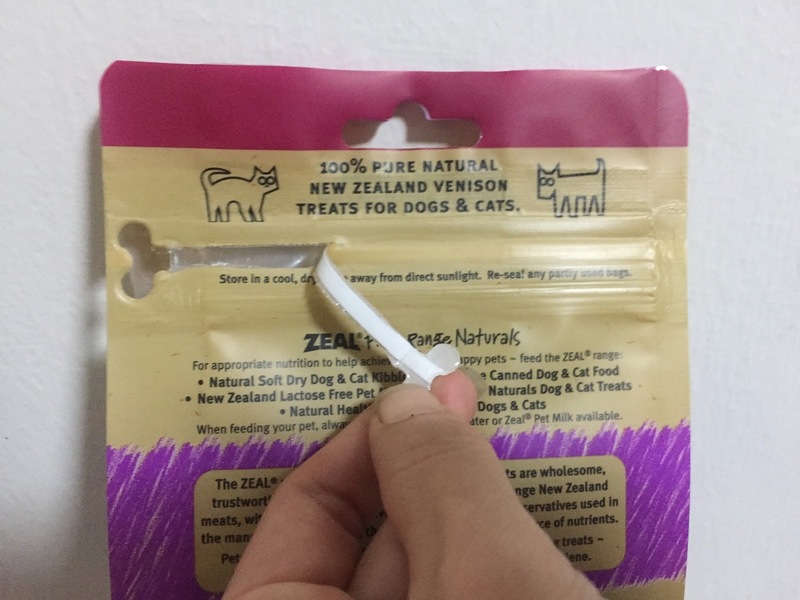 There are definitely other 100%-natural treats available. All I can say is, it looks and smells like some other treats we have consumed before so that "100% meat smell" is something we are quite familiar with. And boy do Frodo and I get overZEALous whenever mummy opens the treat bag and we smell that oh-so scent-uous smell of pure meat. The only thing about the treats that displeased mummy a tad bit is that it is not easily 'breakable'. For training purpose, mummy likes treats that can be easily broken into small pieces so the fact that the treats are chunky and hard (for chewing and dentition purpose) got a bit of a minus point from mummy. Frodo and I ain't complaining about it though. Food glorious food in its wholesome chunky beauty. 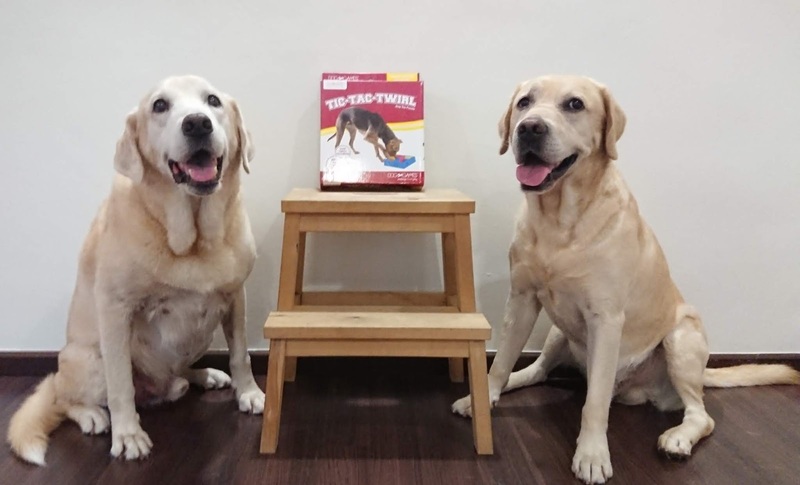 But of course, before we got to taste those mouth-smacking, tongue-lickin' good treats, somehow.... the treats made it on our head and snouts before out stomach. Like seriously, mum? 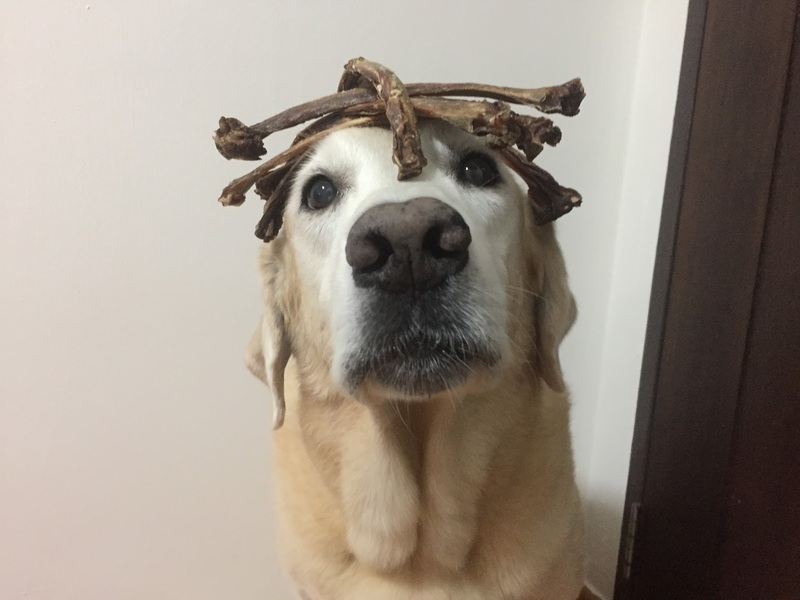 You had to stack almost the entire pack of 125g worth of Lamb Sticks on my head before I can eat 'em? Life is so unfair! Frodo only needs to stack ONE piece of the Venison Liver? Pffffttttt. Back at home.... Mr Flat-Head got more Venison Liver stacked on him. P.S. I was hiding below awaiting for Mr Move-A-Lot to drop the treats off his head. 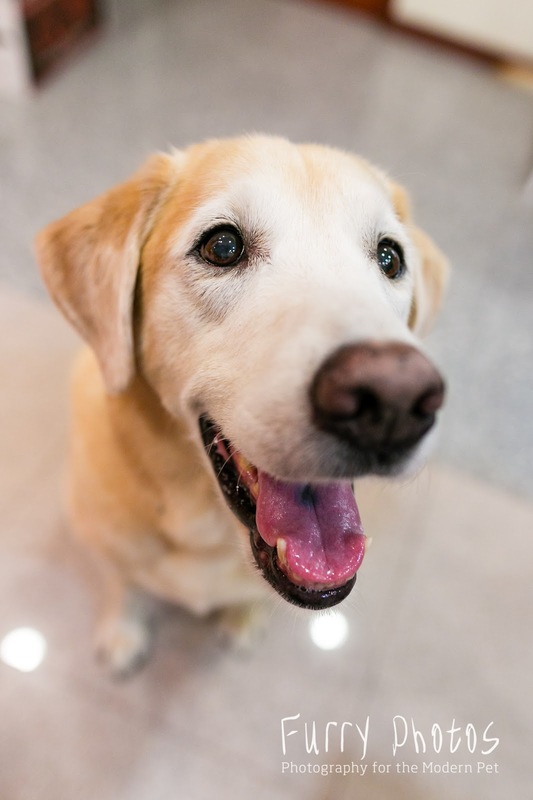 My supremely happy PR-face after chomping down on all that treats! After all that hard work with the stacking, Mr E presented me with yet another Zeal product. Yes. I do understand that word in any form possible. Try me. I will show you to the fridge. Mr E made it an even happier visit by presenting me with this 1L bottle of M-I-L-K. Here's any frivolous fact about Frodo and I. Time to look at the back of the bottle again. 260ml daily intake only? Gimme the whole litre! After all that self-preservation of not indulging in my favourite drink called M-I-L-K, it is time to share the pleasure of this heavenly drink with my siblings. We went to Silversky for a visit and came back with all these fabulous Zeal products. 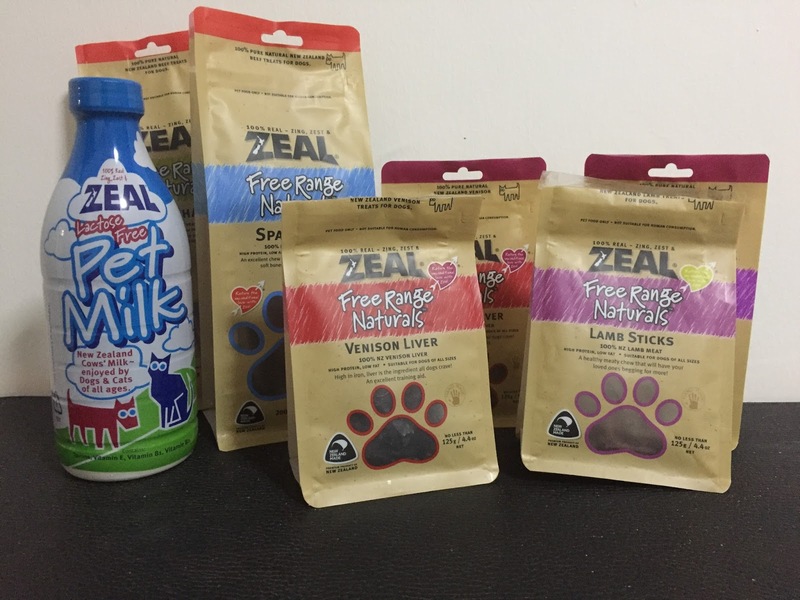 Okay... so the ZEAL treats and lactose-free milk boast of being 100% el-naturel with no preservatives or artificial flavourings. 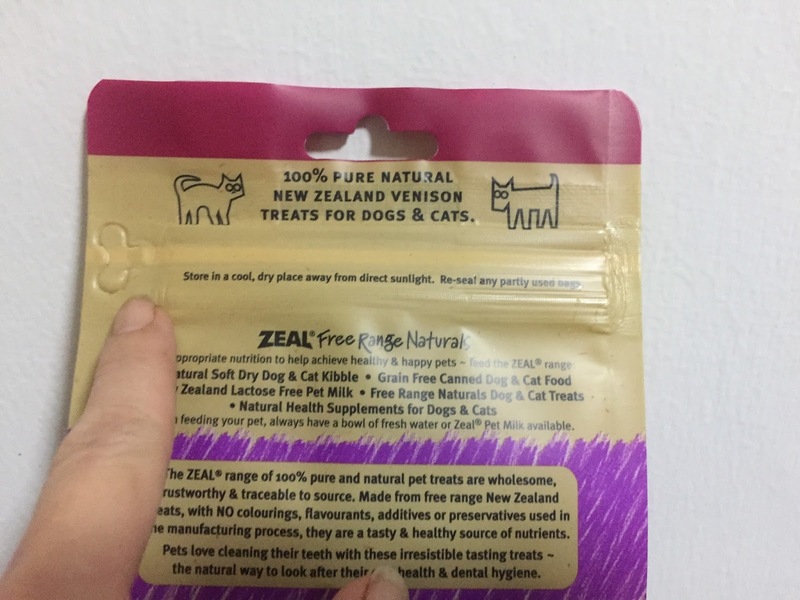 The treats are labelled as "Free Range Naturals" and even has this small hand sign logo that says "handmade". The treats are indeed crunchy but that's not the crunch time I am referring to. It is time to review the product prices. TREATS - The recommended retail price for the treats primarily range from $14.00 to $19.50 (SGD) for most of the treats with the exception of the 'Green Lipped Mussels' and 'Spare Ribs' which cost a whopping $39.00 for a bag of 125g and a bag of 500g respectively (the 200g spare ribs is priced at $39.00). Consult the dogs and we will say, "We don't really care. Both are equally yummy and if we had the choice, the human does not even need to re-seal it. We will empty the contents, pronto!" 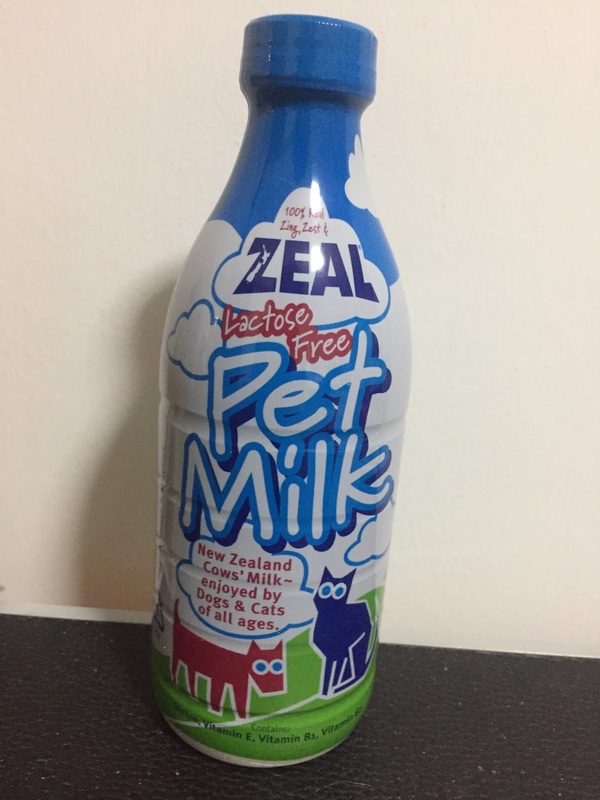 LACTOSE-FREE MILK - Now this one got our greedy jaws dropping. 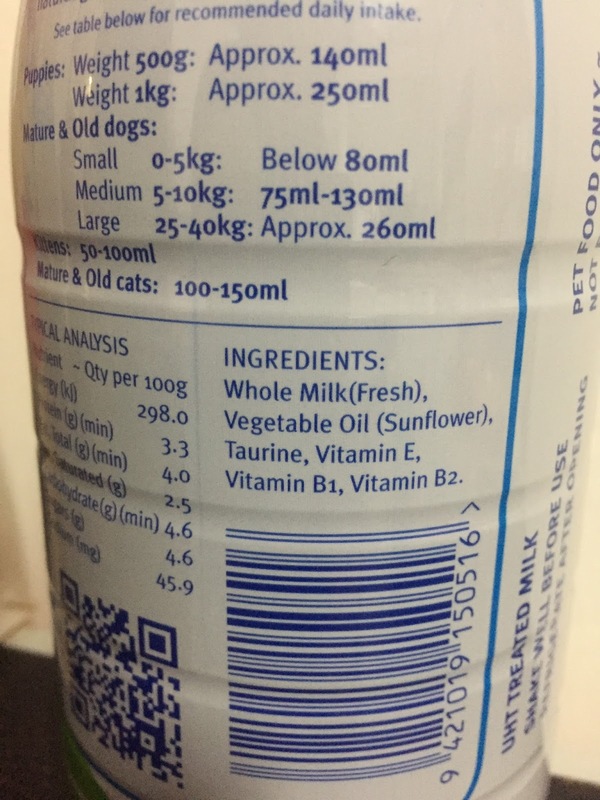 Mummy announced, "Boys... this milk costs $4.90 for 380ml and $7.90 for 1L. Okay, enjoy it this one time. You can continue sharing milk with me." But to be fair, the soya-bean smelling milk does smell pretty darn nice and we did enjoy our drink very very much. Ah well! At least we got to try it! *Please note that the prices stated are indicative only. It can vary according to each retailer. So.. conclusively, will stingy mummy buy Zeal products for us? I can keep dreaming about the milk 'coz I doubt mummy will pay for that since we are not lactose-intolerant. Milk is only given as a treat and well... whenever I con grandma by showing her the refrigerator. The treats, however, she admitted that as much as she was a bit embarrassed coming home with that loot did end up coming in very useful for reasons I shall not disclose. Oh please mum, what's there to be embarrassed about? Frodo and I will never ever complain and I will even happily help carry our treats home! Look mum! The spare ribs can even double up as a hat! Fashion statement of the year. 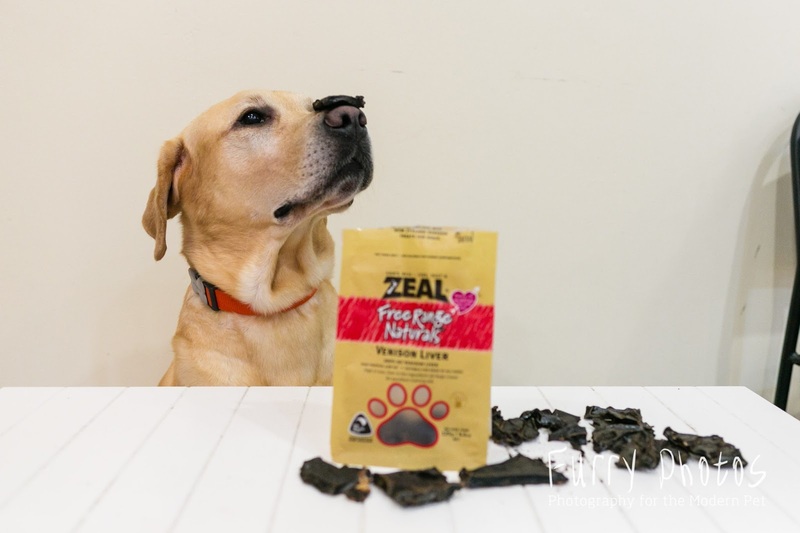 More Zeal Treats please! You should see Frodo and my response the minute mummy opens ANY bag of the Zeal Treats. We HAVE to tell her that we do love the treats and she should get more for us... even though I think the current loot will last for a long time. Consult the dog, it is YES treats and YES milk. Consult the mama and it is, YES treats, NO milk. "Frodo Choo! You turn to go earn some money so we can feed our milk addiction!"